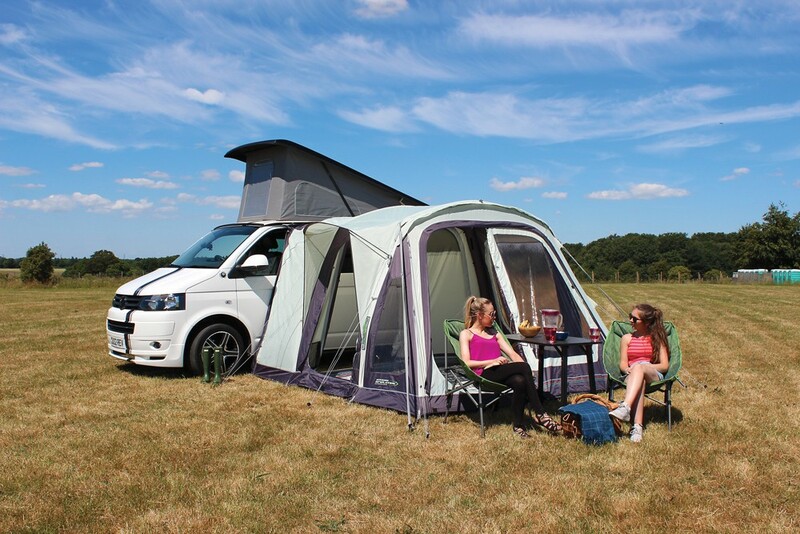 Outdoor Revolution’s Movelite T2 inflatable awning returns for 2019 packed with new features to ensure it remains best-selling. 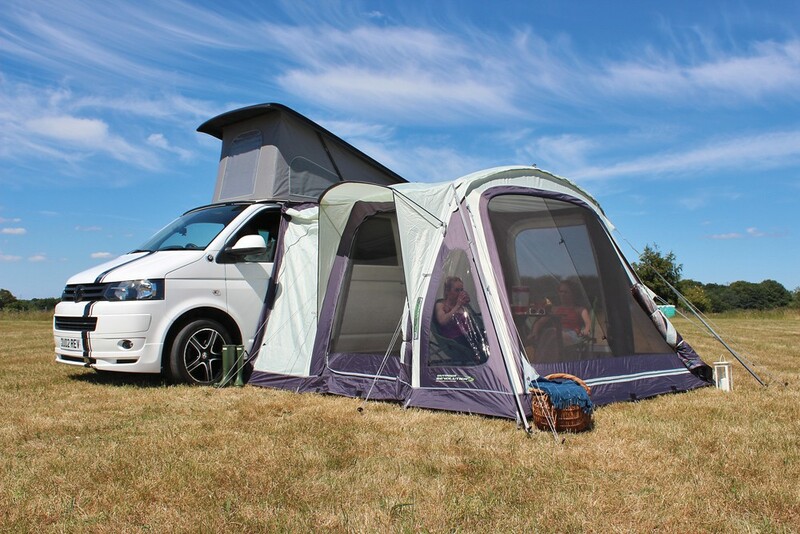 This compact drive away awning is the ideal companion for short breaks away with your family! 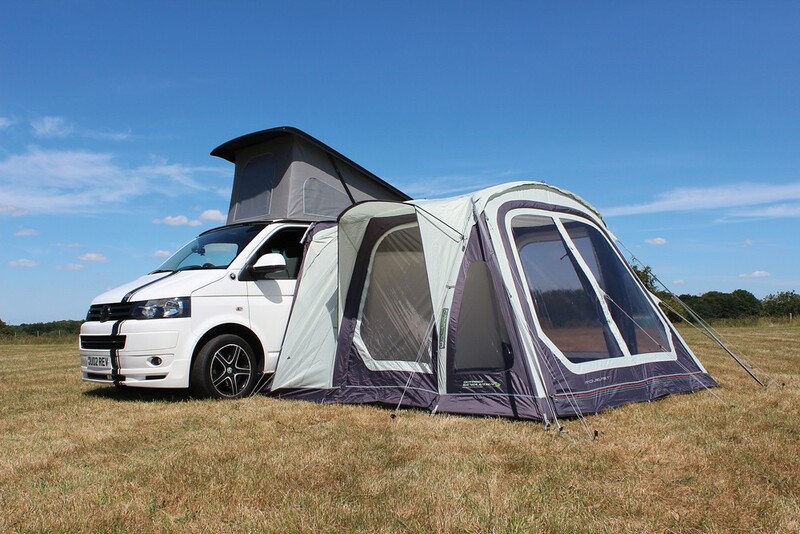 This Movelite T2 Lowline awning is designed to fit motor homes and camper vans with a height of 180cm to 220cm, such as VW Transporters. 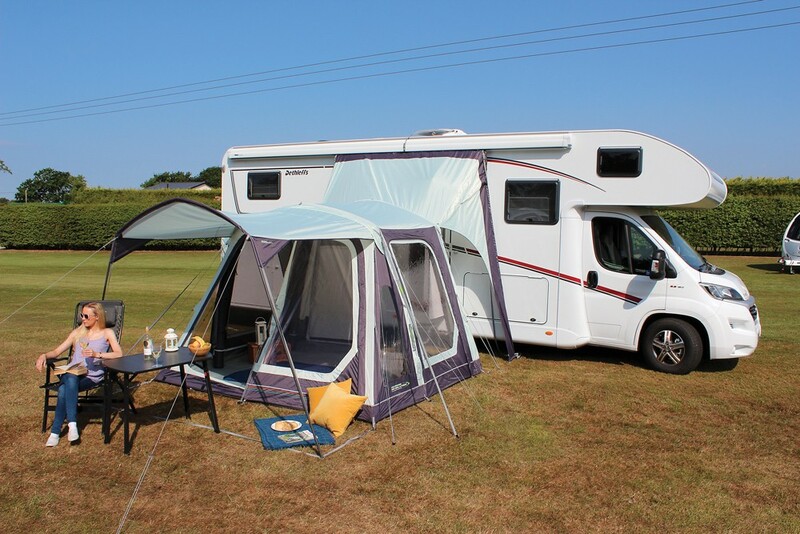 This versatile air awning offers generous dimensions of 310cm wide and 250cm deep, providing enough space for you and your family to enjoy. 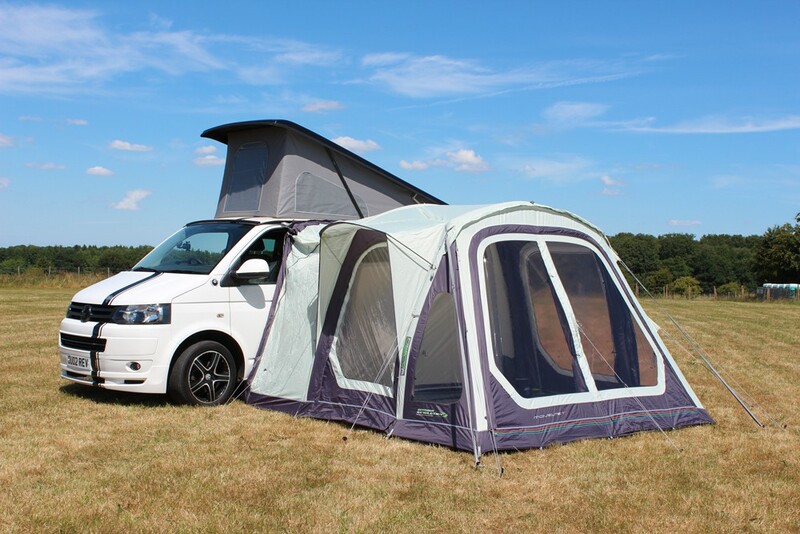 The Movelite T2 Lowline is quick and easy to set up with thanks to Outdoor Revolution’s famous Oxygen Air Frame. This inflation system is one of the quickest and simplest on the market today. The two air frame tubes are easily inflated using the dual-action hand pump supplied. 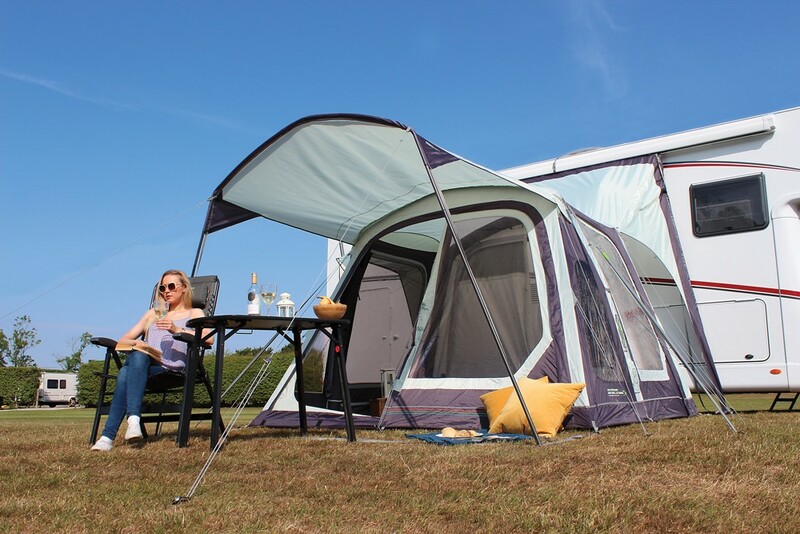 For 2019, the roof shape has been redesigned as a shallow arch to give extra strength and stability to the awning. 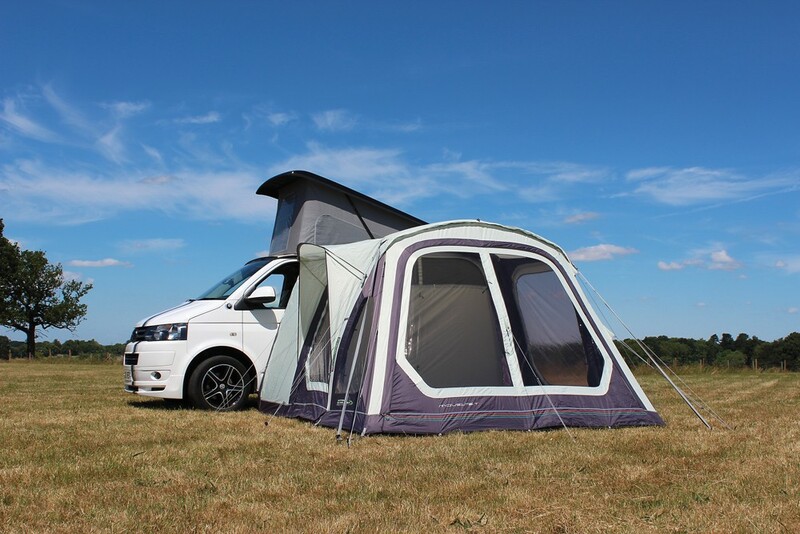 The Movelite T2 Lowline awning also includes Outdoor Revolution’s patented Intelligent Frame Relief Valve. This clever system expels air above 6PSI which is usually caused by over inflation or an increase in temperature. 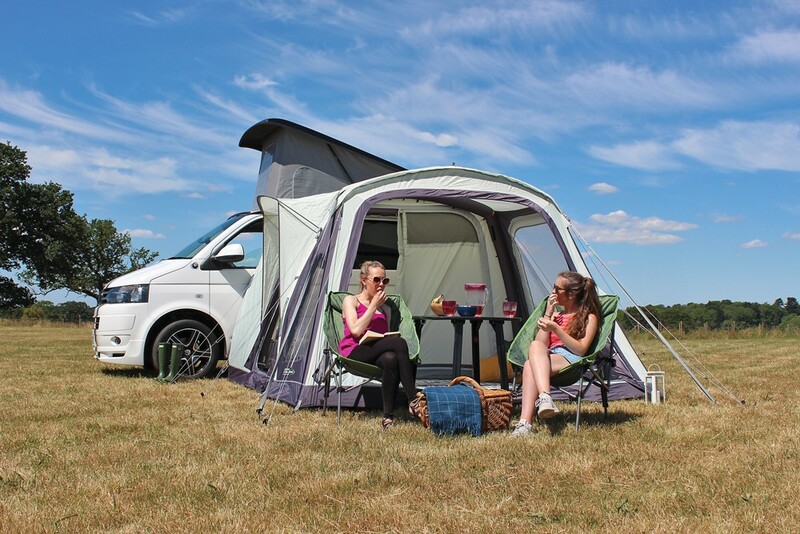 The Movelite T2 Lowline air awning has been created using a premium 480HDE double rip stop material which provides a fantastic strength to weight ratio. This fade-resistant material offers longevity and high performance whilst still being lightweight enough for an easy set up. 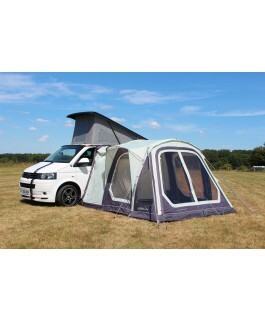 The fabric is also extremely water-resistant and the light coloured roof material reflects heat. 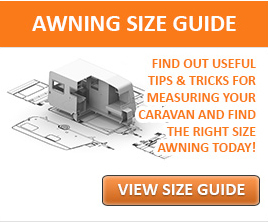 This helps towards maintaining a comfortable temperature inside the air awning.